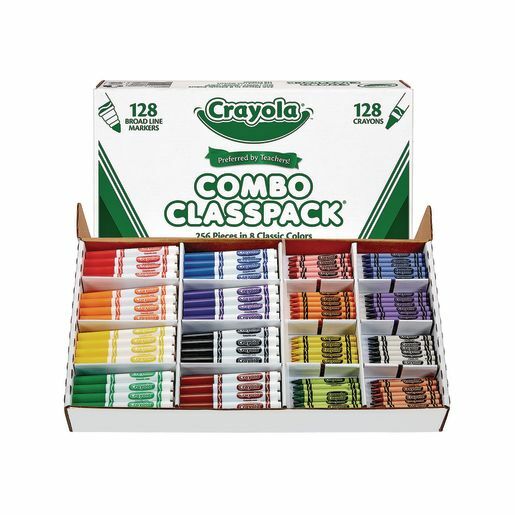 This economical Classpack® includes 16 each of 8 classic Crayola® crayons and 16 each of 8 classic colors, broad line Crayola® markers. Crayons measure 3-5/8"L x 5/16"Dia. Markers measure 5-3/8"L x 5/8"Dia.